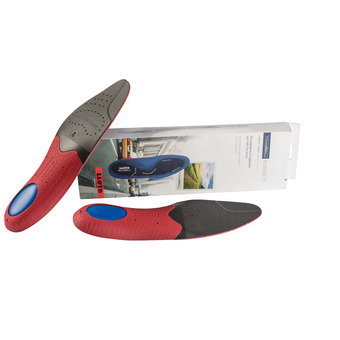 A warming insole with active carbon and aluminum insulation. Comfy, soft and warming textile from 100 % fine-fibre polyester (functional fibre) on active carbon latex foam. 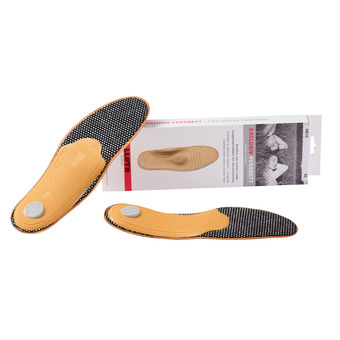 The active carbon reduces foot odour, while the latex absorbs impact and softens every step. The aluminum layer insulates against the cold from below and keeps warmth inside the shoes. The perforated underside encourages ventilation, while the grooved profile prevents the foot slipping inside the shoe. Very hard-wearing. 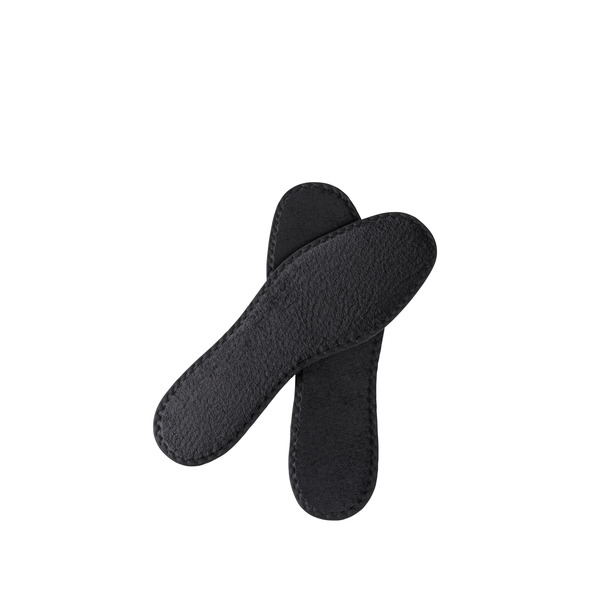 Ideal for shoes with a Tex membrane.